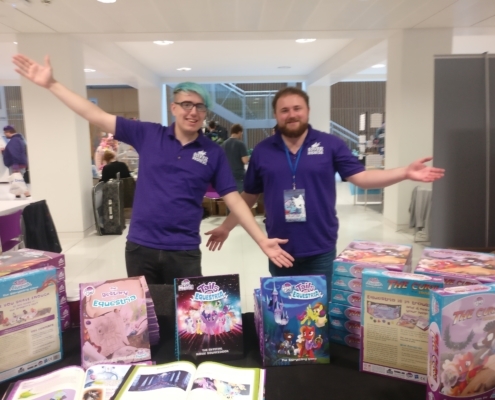 Last weekend we had the pleasure of attending UK PonyCon, which was this year in River Horse home territory, Nottingham! Starter Set for My Little Pony: Tails of Equestria Now Available! 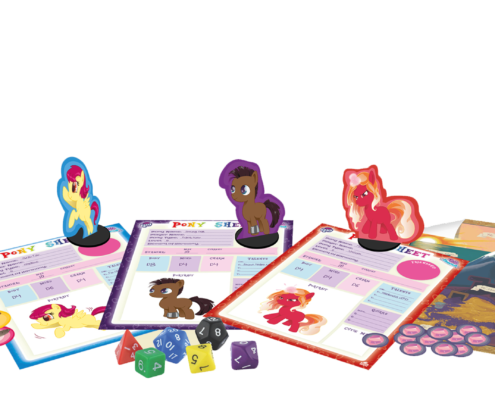 We are pleased to announce a new product joining the Tails of Equestria Family: the My Little Pony, Tails of Equestria - Starter Set, which includes a brand new adventure entitled ‘A Dragon’s Bounty’. https://riverhorse.eu/wp-content/uploads/2018/09/StarterSetContents.png 752 2048 River Horse https://riverhorse.eu/wp-content/uploads/2018/07/RH_logo_trans.png River Horse2018-09-21 19:00:232018-09-21 14:54:34Starter Set for My Little Pony: Tails of Equestria Now Available! 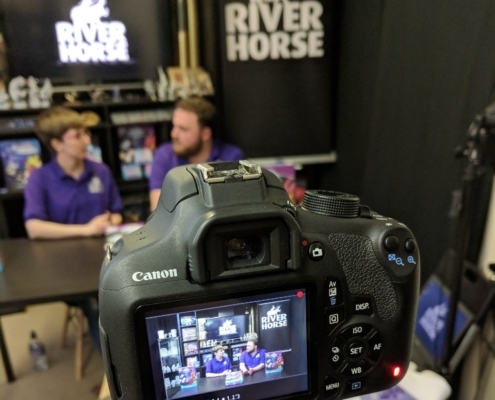 River Horse will be at TableTop Gaming Live on the 29th & 30th September at Alexandra Palace, London. Come find us at the Games Quest stand to take a look at some of our latest games. We thought we would give you a sneaky look at what we have going at River Horse! https://riverhorse.eu/wp-content/uploads/2018/08/974a6281-e899-45bb-aa80-3056410d3ce3.jpg 768 768 River Horse https://riverhorse.eu/wp-content/uploads/2018/07/RH_logo_trans.png River Horse2018-08-29 12:34:322018-08-24 12:56:16Sneak Peek Behind the Scenes! We love hearing from our community when they share their experiences with our games or the art and crafts that they have created for our games. Recently we received a story from a father that brought a little tear to our eye. We would like to share it with you all.